Home » Artwork » art journal » …what is the speed of mind? …what is the speed of mind? I have decided to start an art journal practice. More often that not, my “art journaling” is more journal than art. I want to strengthen my non-verbal side as well, so I’m committing to making a page like this at least once a week. 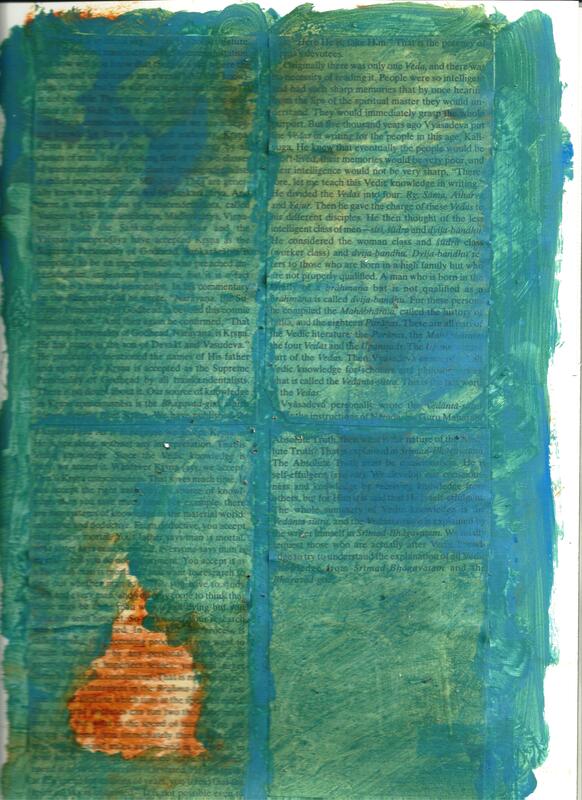 The title comes from a part of the page that was left visible, not obscured by paint. This entry was posted in art journal, Artwork, Paintings and tagged acrylic, art journal, found objects, paperback. Bookmark the permalink.